I'm always thinking of ideas for sets of images. Individual pictures of a piece of toast may not be of interest to anyone but put together a set of 35 different pieces of toast and I guarantee that at least someone will find them interesting as a set. 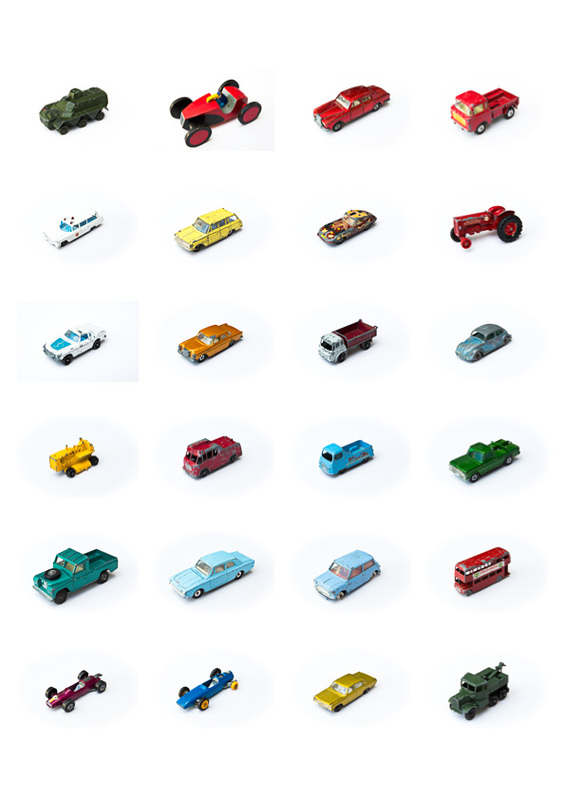 Well this was my latest little set of images - my old toy cars found in a couple of boxes at my parents just a few days ago. Individually nothing special but together they make an interesting memory of days spent pushing them around in the garden or on the sitting room floor. My father is convinced they are worth a small fortune on ebay so I'm hoping for at least a small percentage of the sale if they go for millions. If they don't sell then I might just go and get them out of the boxes again and push them around a few more times just for the memories.